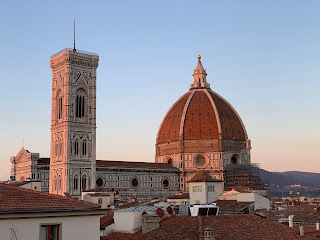 I just returned from eight days in Italy. 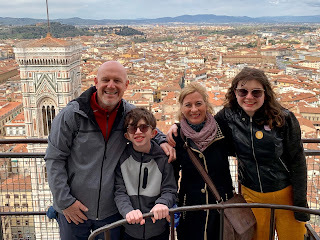 It was a whirlwind Spring Break tour of Rome and Florence. We covered a lot of ground — per my Apple Watch, 63 miles and 140,000 steps, to be precise. And we saw a lot of stuff — the Vatican, the Colosseum, lots of beautiful churches, lots of ancient sites and ruins, and (almost) too much pizza, pasta, and gelato (but never too much wine). It's hard to synthesize our eight days into a few key highlights. But I'll do my best. 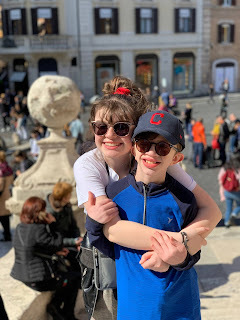 Our early entry tour of the Vatican. We landed in the Sistine Chapel at 8:35 am, with barely any other people. 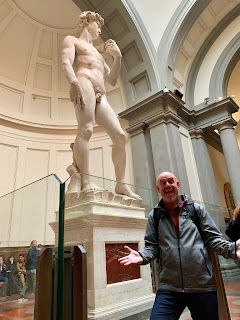 We spent 25 peaceful minutes living among Michelangelo's glorious frescos. The beauty of the experience literally took my breath away and brought tears to my eyes. The highlight, however, was when a priest entered the Chapel to lead everyone in prayer, and then spent a few minutes speaking with (and blessing) anyone who queued up to meet him. According to our tour guide, Pope Francis started this practice a year or so ago, to restore a bit of holiness and solemnity to the Sistine Chapel, so that people understand that it is more than a tourist attraction. Bravo. Bonus points for being able to walk through an empty Gallery of Maps on our way to the Sistine Chapel. 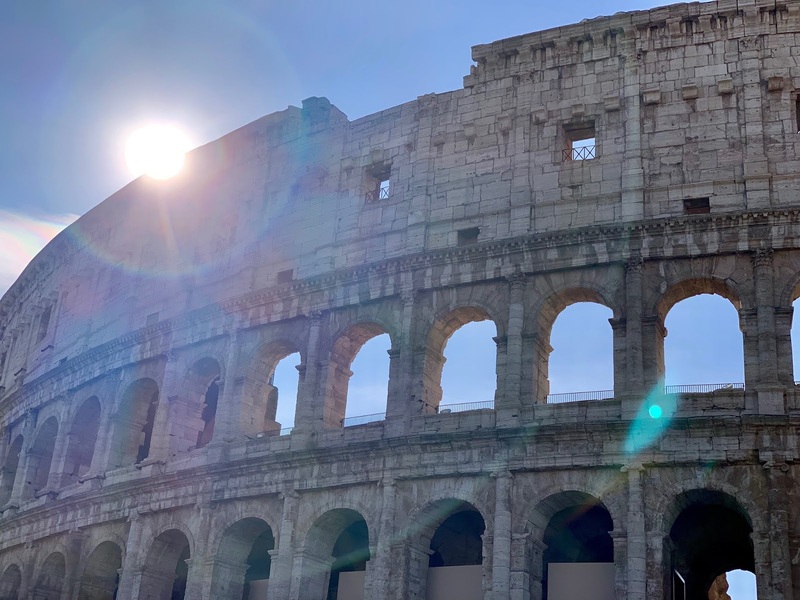 The Colosseum. It's one of the Seven Wonders of the World for a reason. To see something that old, and that massive, in person (and in such good shape for its age) is the definition of awesome. Bonus points to me for smooching some ancient religious plaque to simultaneously earn my FastPass to heaven and gross out my entire tour group. Santa Cecilia in Trastevere. Saint Cecilia is the patron saint of musicians. How could be not take a side trip to see her shrine? 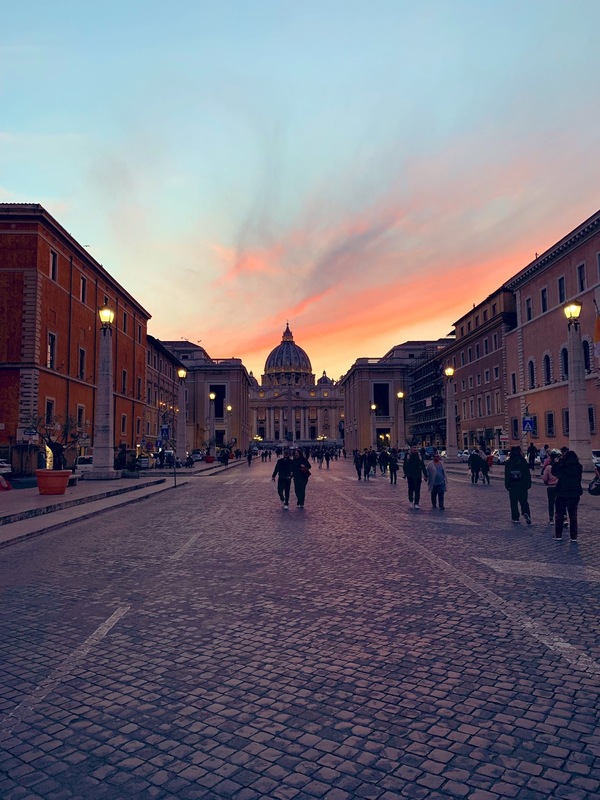 What's cool, however, is that underneath the current church is the archeological site of the original church dating back more than 1,000 years, along with her crypt. It was a serendipitous find. Bonus points for the café just up the street that made my wife and me a couple of mean Tom Collinses while we waited for the church to open. The history. It's everywhere. 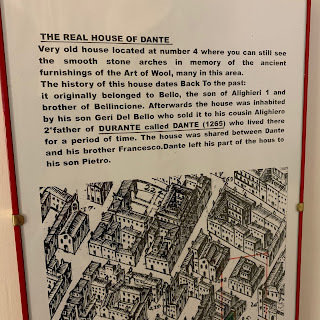 For example our Airbnb in Florence was Dante's house. 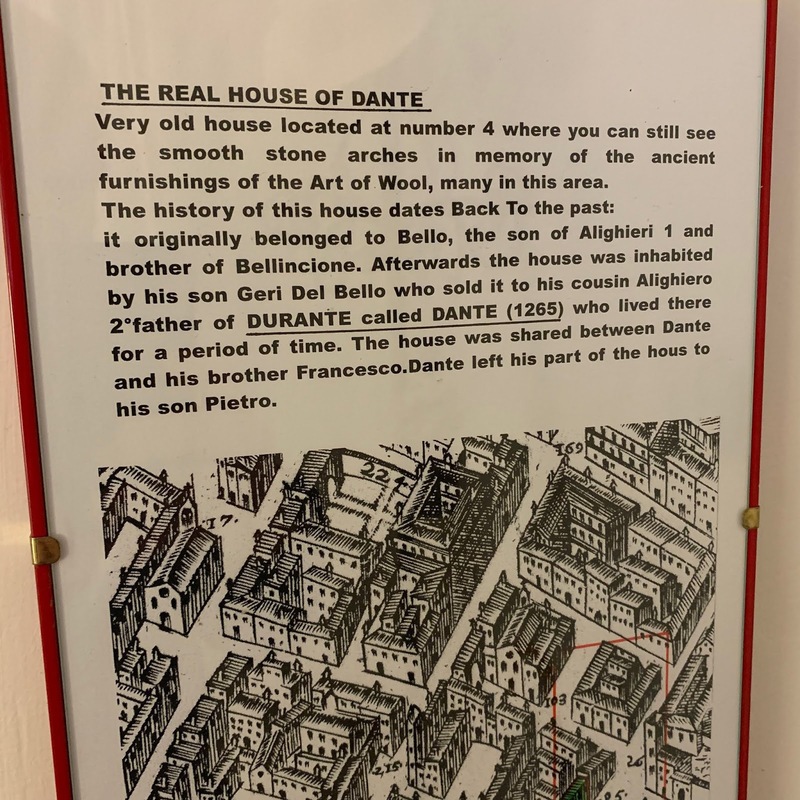 The Dante owned and lived in the house in the 13th century. How can you beat that for historical? Bonus highlight: Based on the availability of English language American television in Italy, I fear that Italians might have a skewed sense of our country. The only shows I could find were The Dukes of Hazzard and Baywatch (neither of which, by the way, have held up particularly well). That's a taste of what we experienced. But what did I learn? We Americans work way too much. 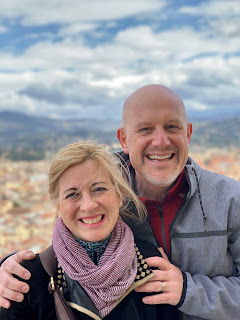 In the nearly 11 years I've been writing my blog, the most read post (and it's not even close) is Must employers pay unused vacation at termination? It depends. What does this tell me? That employees are leaving vacation days on the table. 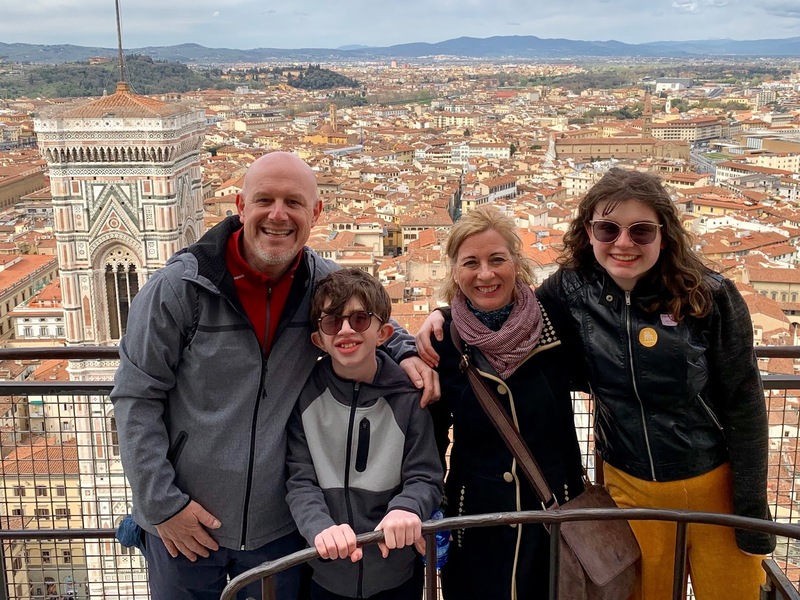 Indeed, according to one recent survey, U.S. workers forfeited over 200 million hours of vacation time last year, with only 23% using all of their allotted time, and more than 50% using less than half of their paid time off. This is a shame, and it needs to stop. So for anyone reading, take your vacations. Employees, no one awards you a trophy for having the most unused vacation days at retirement, or for working the most hours. Employers, we should be encouraging employees to take their vacation days. It improves employee morale, wellness, and productivity. Let me offer 4 constructive suggestions to encourage your employees to use their full bank of vacation days. Teach your employees the benefits of taking vacation. Make it a part of your wellness education. Communicate the health and wellness benefits of taking a vacation. If employees understand that vacations lead to improvements in performance productivity, they will be more likely to leave work behind for a few days. Prohibit vacation shaming. No one should be permitted to discourage from, or tease employees who, take vacation. If you send or permit negative messages about vacations, your employees won't take them. They will fear letting the team down, or the time off impacting their employment. This form of bullying cannot and should not be tolerated. Take your own time off. If the boss never takes a vacation, employees won't either. If you want your employees to take time away from work, do so yourself. Leadership and messaging starts at the top. If you make vacation a priority, your employees will, too. Ease employee back to work. When asked why they don't take time off, most employees cite the fear of returning to a backlog of work and thousands of emails to which to respond. Plan for coverage when employees are out, and provide a day upon their return for catch-up, so that they won't fear the return-to-work ambush or avalanche. I'm back at work this morning, rested and ready to tackle all the waits for me … and counting down the days until my next adventure, wherever that may take me.